In Solomon Islands, diseases such as malaria and meningitis, coupled with poor health systems to treat ear infections, have resulted in a high rate of deafness. The situation is made worse by the unavailability of hearing aids and opportunities for young deaf people are very limited. 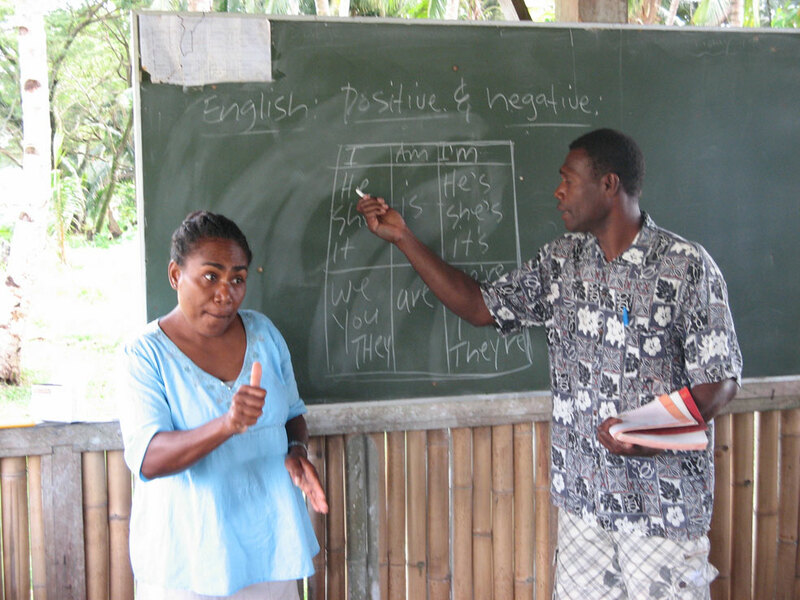 Caritas Aotearoa New Zealand is implementing a training programme for the teachers of the deaf students. Cathy is an experienced teacher for deaf students, but says most of her techniques have come from books and the Internet, and feels she ‘is making a lot of it up and learning as she goes’. Cathy and other teachers are eagerly awaiting a formal training course which will be supported by donations from the 2014 Lenten Appeal. Donations to the Bishops’ Lent Appeal help Caritas Aotearoa New Zealand to be there when disaster strikes. 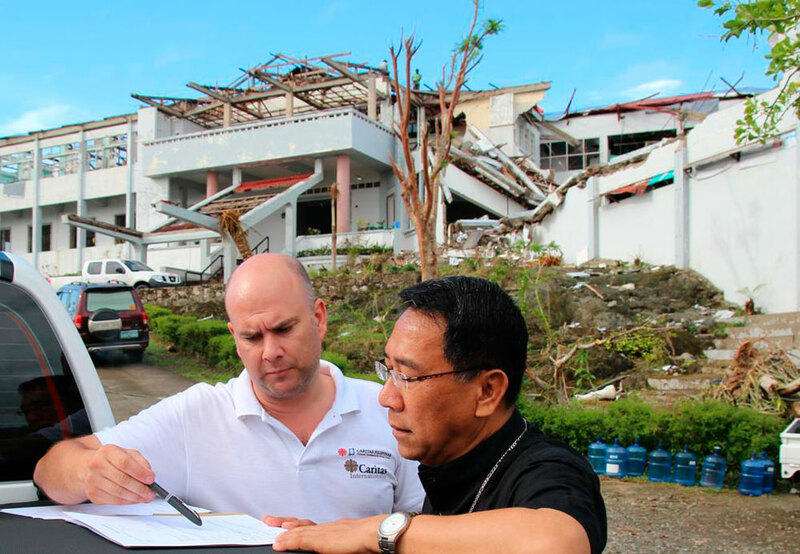 When Typhoon Haiyan hit the Philippines, Caritas Aotearoa New Zealand was able to provide immediate relief and deployed their Humanitarian Coordinator Mark Mitchell to lead the international response. Closer to home, Caritas Aotearoa New Zealand is supporting Caritas Tonga to help communities to recover and rebuild after Tropical Cyclone Ian devastated the Ha’apai islands in January. To date $45,000 has been provided to ensure water, shelter and food needs are met. On the other side of the world, civil war in Syria has killed thousands and displaced 7 million people. Caritas Aotearoa New Zealand has partnered with Caritas Lebanon to help some of the 1.2 million Syrian refugees in Lebanon and provide support for host communities under stress. Caritas Aotearoa New Zealand speaks out for justice to influence attitudes and create change at national, regional, and global levels. Lamepasola Timu is a young mother living a state house damaged by the Christchurch earthquake. 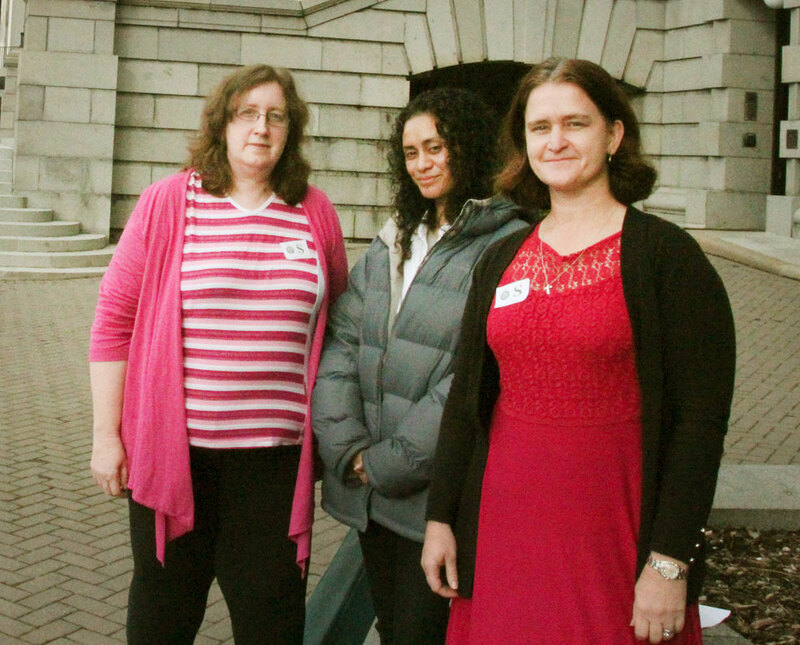 When changes were proposed to state housing policy impacting on her close-knit community, Lamepasola went to Parliament with Caritas to make her voice heard. She said that when state house tenants are asked to vacate earthquake damaged homes, they are often moved away from the important and strong schools and communities that sustain and support them. Though the bill was defeated, Lamepasola spoke out and was listened to by decision makers. She put a human face on the impact of their decisions and policies and contributed to wider public debate on the issue. Donations to the Bishops’ Lent Appeal support Caritas Aotearoa New Zealand’s work helping those who need it most in New Zealand and overseas. Donate throughout the weeks of Lent or make a one off donation using Lent Appeal envelopes in your parish. Leave donation envelopes in your parish’s collection basket or post to Caritas, PO Box 12193, Wellington 6144. Alternatively, you could donate online or call 0800 22 10 22.